You love finding wines that add prestige to your high-class collection, and you take pride in sourcing out vintages that are unique, deliciously memorable or perfectly age-worthy. Sometimes, though, despite taking care of them, you'll find that something’s gone wrong with your wines. Wine faults can ruin the taste and integrity of the contents of a bottle. That’s not something you ever want to deal with! In this post, we'll go over eight common wine problems, what causes them, and what (if anything) you can do about them. Oxidized white wine turns a brownish tint, while red wine turns a brownish-orange color. The wine will release a nutty or jam-like odor (in white wines), or a sharp vinegar and unpleasant caramelized odor (in reds). It will taste and look flat, having lost its flavor, aroma and color. The wine has been in contact with the air, with oxygen interfering with the wine. This may have occurred during production or after bottling due to a faulty cork, seal, cap or other type of closure. As long as the oxidation is minor, the wine might still have an acceptable taste – it will be similar to Sherry or vin jaune. You could try adding sulfite tablets to neutralize the oxygen and prevent further oxidation, but you can’t reverse what’s already taken place. If you just purchased the wine, see if you can exchange the bottle. You’ll detect a jammy or stew-like smell, perhaps even a burnt or caramel aroma. You might even see evidence of wine actively or previously leaking from the cork. The wine has been exposed to heat extremes that “cooked” the contents. This heated wine expanded and increased the pressure inside the bottle. Oxidation may have occurred as well with the contact between wine and air. Unfortunately, not much. You might consider using the wine in a dinner recipe. Your wine has a foul smell, reminiscent of garlic, rotten eggs or a struck match. It might also have a pungent skunk odor. The wine was deprived of oxygen during the winemaking process. Too much oxygen causes defects, of course, but taking too many steps to reduce it can introduce another issue – excessive sulfur compounds. Try decanting your wine for an hour or two. You can also swirl the wine in your glass to “blow off” the odors. In extreme cases, this causes your wine to smell like a wet dog, wet and musty newspapers, or a damp and moldy basement. Minor incidences of TCA will make the wine tasteless and flat. The interaction of plant phenols, mold and chlorine have led to the presence of 2,4,6-trichloroanisole, or TCA. This molecule sometimes appears on barrels, cardboard, wood cases, and corks. There isn’t much you can do about this, beyond asking if you can exchange the bottle. Your wine smells pungent, typically like rotting cabbage, wet wool, sewage, damp cardboard or skunk. Ultraviolet (UV) and blue rays from artificial lights and the sun have entered the bottle and interacted with the amino acids in the wine, breaking them down and transforming them into strong-smelling compounds. Lightstrike affects white wines more commonly than reds, since whites have far fewer tannins. Make sure you’re storing your bottles in cool, dark conditions. You should also consider the color of the bottle, since clear bottles block just 10 percent of UV rays. Amber bottles block 90 percent, and green bottles block 50 percent. This is also important for transportation and storage prior to purchase. You’ll detect off flavors in wine that range from mildly savory to intensely unpleasant, like nail polish remover, vinegar or glue. Acetobacter have entered the wine and interacted with sugar and oxygen to produce acetic acid and ethyl acetate. There isn’t much you can do, since the bacteria entered during the winemaking process. Low levels of VA can add interesting sweet and savory notes, but high levels can ruin the taste. You see bubbles in your wine and hear the unmistakable sound of gas escaping when you pop the cork. The wine had too much residual sugar left after fermentation, and yeast has now acted on that sugar to cause refermentation in the bottle. 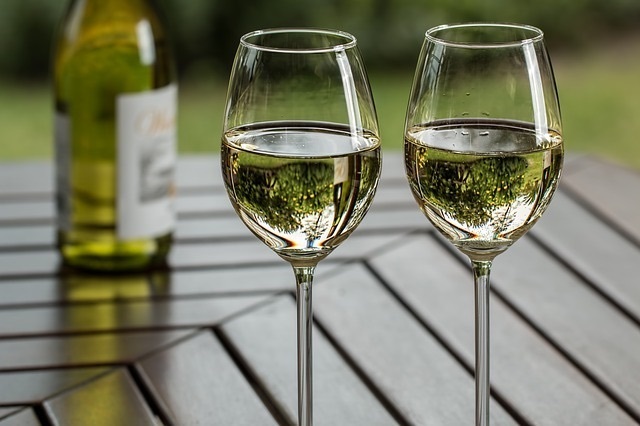 You might not need to do anything if your wine is one of the few non-sparkling wines that have a bit of spritziness to them – Vinho Verde, some young Rieslings, Bonarda and Gruner Veltliner. If your wine is not supposed to have bubbles, try giving the bottle a few shakes to disperse them. You can also decant some and let it rest. The wine has a strong odor, reminiscent of a barnyard, sweaty saddles, horse blankets, bacon and bandages (in the case of Brettanomyces). Alternately, it will have a slightly unpleasant odor and a taste that has been compared to mouse urine and caged mice (in the case of mousiness). Brett yeast and lactic acid bacteria have interacted with residual sugars and released several byproducts with strong, unpleasant aromas. You can try to sterile filter your wine or add sulfite tablets. However, your wine might not improve if it is too far gone. Wine faults can range from a minor annoyance to a major disaster. While there is not always anything you can do about them, you can avoid some situations by creating a home wine cellar with the perfect environment for storing wines. If you’d prefer not to store your wine at home, consider the high-quality storage facility at JJ Buckley Fine Wines. Our convenient storage services will ensure your wine stays at its best for as long as possible. Contact us to learn more about storage services and our extensive fine wine collection.